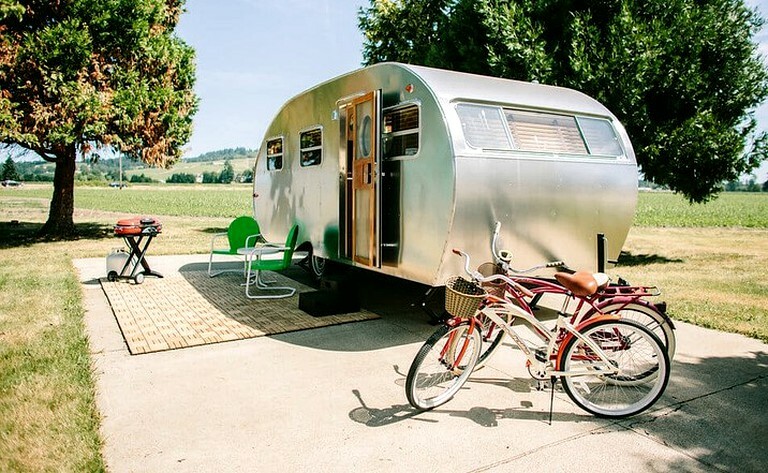 This vintage Airstream rental in Willamette Valley has a queen-size bed with lots of pillows, as well as a private bathroom with a soaker tub. 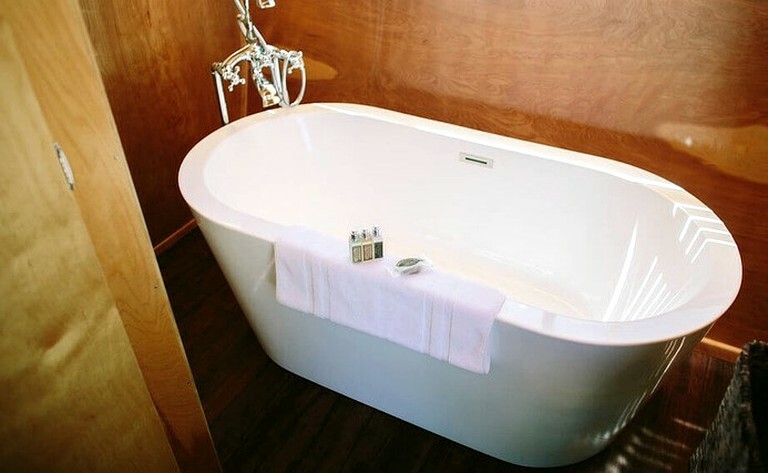 Fine, hotel-quality linens and towels are provided, in addition to L'Occitane bath amenities. Finally, "his and hers" robes are provided in this Airstream in Willamette Valley. 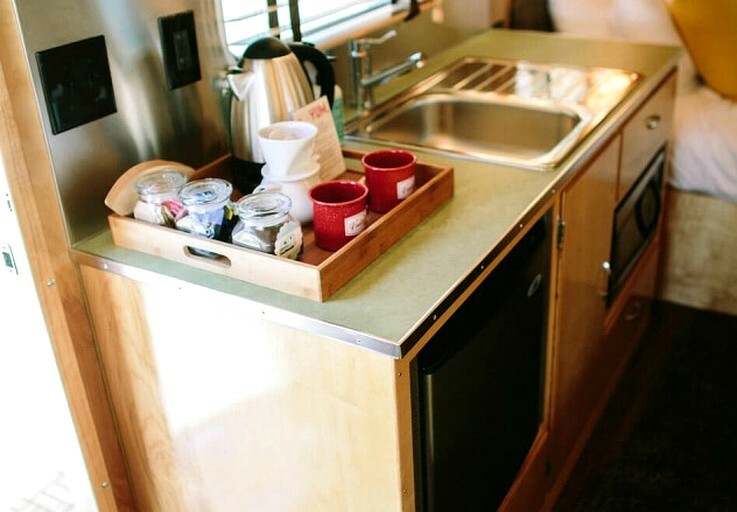 Additional amenities include coffee, dishes, silverware, a microwave, and a refrigerator. There is an outdoor propane barbecue and a patio area with chairs and tables. 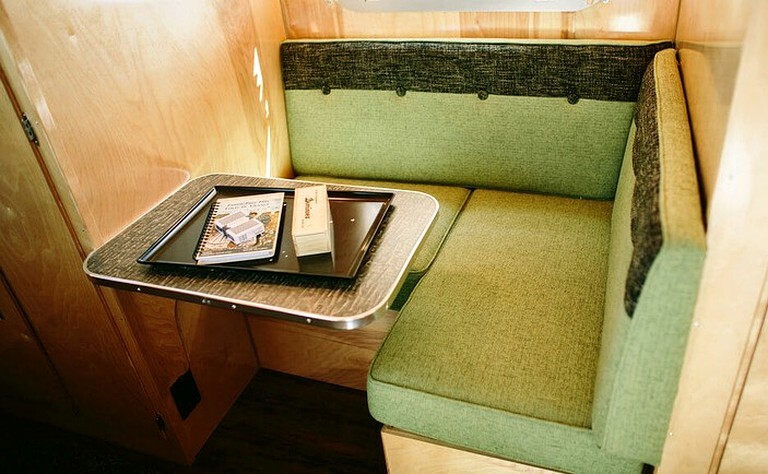 This vintage Airstream rental has a flat-screen television, and two cruiser bikes can be reserved upon arrival. This glamping site is centrally located in the heart of the Willamette Valley in Oregon. This is halfway between Dundee, Oregon, and historic downtown McMinnville, Oregon. 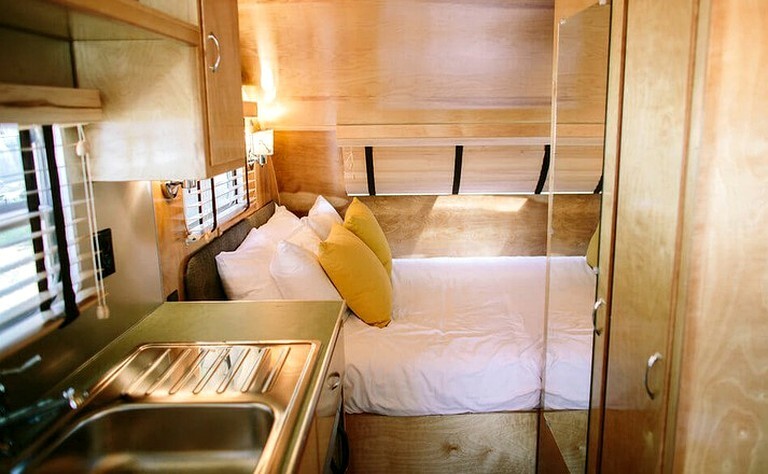 Guests will be staying withing a neighborhood in a 14-acre Willamette Wine Country RV park.